Do you want to test yourself as an army general? 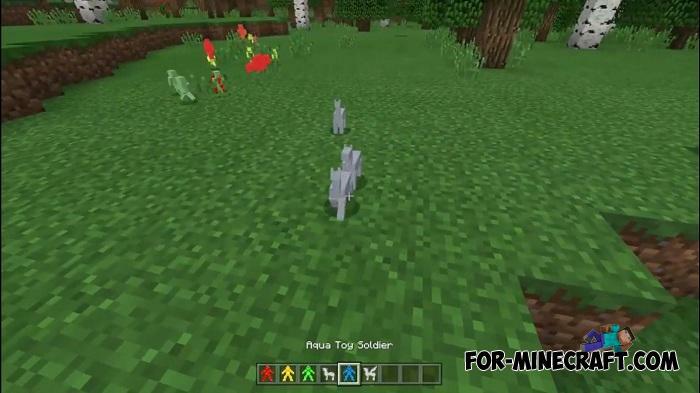 Toy Soldier Addon adds four warring parties, two armies of soldiers ready to fight to the last man in Minecraft Pocket Edition. There are four teams: red, green, blue and yellow armies. All teams differ only in color which allows you to play this addon with a friend. Now you can become a strategist and lead your army to victory. Thanks to several types of soldiers, your soldiers will perform certain roles. How to get the soldiers? Before spawning soldiers, you will need a special field with a barrier where they can fight. 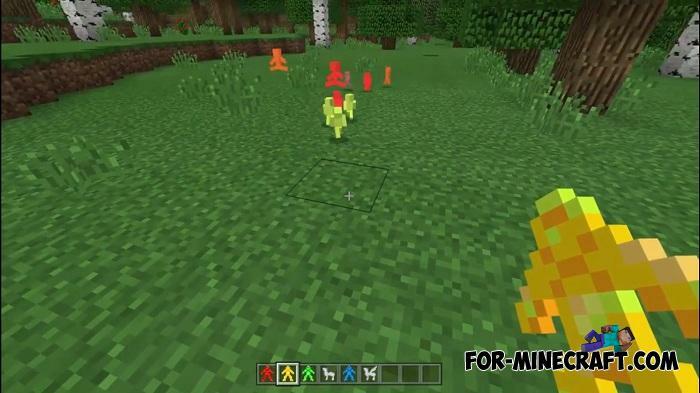 Take pig, mooshrooms, creeper or cow spawn eggs (enough about 20 pieces) and throw on the field. Once the teams are ready you will need to break the dividing barrier and watch as both armies battle. There are 5 types: a spearman [arrow] (uses spears and throws them at the enemy), a standard soldier (fights with his hands), an assassin (has an increased attack speed), a wizard [requires a blaze rod] (uses fireballs) and healer [a bone] (helps his soldiers and heals wounds, can not attack the enemy and is useless without other soldiers). Soldiers are neutral to the player, but they hate the opposing team. The horse is the only mob at the moment who can interact with soldiers. The soldiers themselves will ride on horseback thereby increasing their speed. Perhaps the Toy Soldier Addon will receive new types of soldiers or equipment, catapults shooting with fireballs. In any case, the addon is being developed and that's not all. New classes, new models and more. Support for Minecraft PE 1.9 Release & 1.10.0.X Betas. Compatibility with Minecraft BE 1.6. Use gold ingots if you want to disband soldiers. Spider toy can be used for riding. Support for Minecraft BE 1.2/1.5. 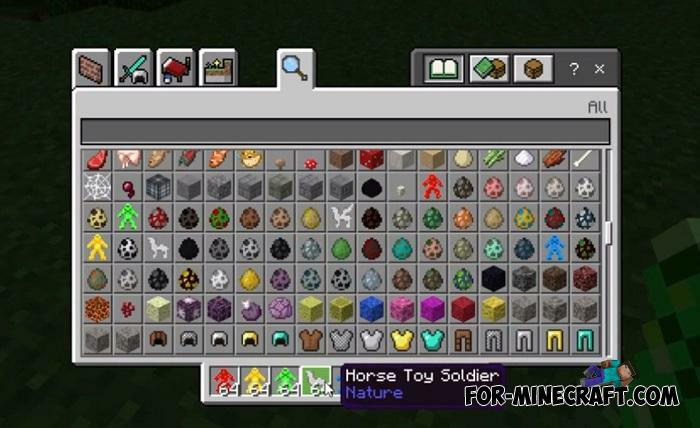 How to install the Toy Soldier Addon? 2. Open it using Minecraft PE.